No self faction griefing. Do not grief factions that you are added to. Do not use the following donor perks in the PvP arena: /Fly, /God, /D, /Jump, /NoPvP. Using these commands gives you an advantage, we want it to be a fair fight. Do not use ANY donor perks in Enemy faction land. Using donor commands give you an advantage, we don't want it so defaults are at a disadvantage. Do not set pointless warps; Only set what you need. Setting a lot of warps is not needed, other players have a chance to have a good warp name with this in place. Do not set warps in Enemy bases. No scamming of any kind - money, items, ranks, anything! Do not use /fix for others. This command is for self use, so don't use it for others. Do not tell people to use commands that hinder them (Such as: "Do /Ci for free diamonds"). This counts as scamming and isn't allowed. People work hard, this kind of ticking is nasty and rude. No /Tpa killing. Don't /tpa to a player, then attempt to hit them. However if they hit you, you may fight back. No warp killing unless stated "You will die." No advertsing warps, then killing players when they get there. Eg: "/Warp shop for diamonds" then killing people who come. Saying "/Warp shop for diamonds, but you might die." would be allowed. No offensive language. Swearing is not allowed, offending others also comes under this rule. Do not be rude to others. Insulting or just being rude to other people is not allowed. We want a friendly server. Do not impersonate anyone, including other users and staff. Speaking as other people is not allowed. This is often abused by using /nick, so do not do it please. Do not advertise other servers. 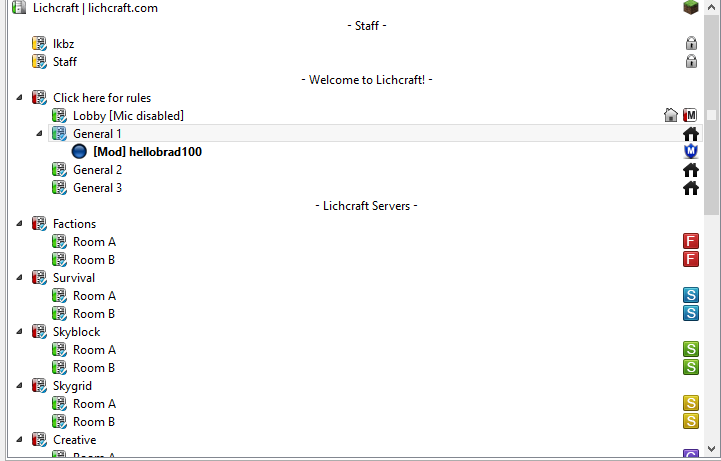 We wouldn't advertise Lichcraft on your server, so why on ours? Mentioning other server names is not allowed, as well as IPs. Do not advertise any other websites, social media, game servers, or other websites in ways to use our users to benefit you. I.E. : Youtube channels, Realms, etc. No use of Hacked clients. Using hacked clients is giving you an unfair advantage and are therefore illegal. No X-ray mods / Illegal resource packs. Using X-ray gives you, again, an unfair advantage. Use common sense. This is self explanatory, be sensible. Respect all users and staff. Treat others with respect. We treat you with respect by helping you, so we expect the same back. Do not write in full caps. WRITING LIKE THIS ISN'T ALLOWED ON OUR SERVER. Do not spam. Repeating messages on a server can get annoying, which we don't want this happening. Do not abuse glitches. Any duping, advantage glitches, or any glitches in general, report them to a staff member. If you catch anyone breaking these rules, be sure to collect evidence and report them! Setting a lot of warps is not needed, other players have a chance to have a good warp name with this in place. Do not tell people to use commands that hinder them. (Such as: "Do /Ci for free diamonds"). This counts as scamming and isn't allowed. People work hard, this kind of ticking is nasty and rude. Please note that some commands may be disabled for a temporary amount of time due to a glitch or bug. They will be back eventually if they are listed above, if they are not coming back, they will be removed. Able to disguise as: Anything! No self claim griefing - Do not grief claims that you are added to. Do not give or sell items spawned with /i - Giving out these items or selling them is not allowed. The command is self use only! Do not use the following donor perks in the PvP arena: /Fly, /God, /D, /Jump, WorldEdit Compass, /NoPvP - Using these commands gives you an advantage, we want it to be a fair fight. Do not set pointless warps, Only set what you need - Setting a lot of warps is not needed, other players have a chance to have a good warp name with this in place. Do not abuse glitches. Any duping, advantage glitches, or any glitches in general report them to a staff member. /At < Player Name > - Allow someone access to the use of Doors, Buttons, Levers etc. Access to Creative WorldEdit - WorldEdit Anything! No self island griefing - Do not grief islands that you are added to. Do not use the following donor perks in the PvP arena: /Fly, /God, /D, /Jump, /NoPvP - Using these commands gives you an advantage, we want it to be a fair fight. No self claim griefing - Do not grief claims that you are added too. No scamming of any kind - No scamming money, items, ranks, Anything! No ChestShop Scamming - Misleading users into selling items that looks like they're worth a lot more then they are. No griefing - Do not grief claims that you are added too. 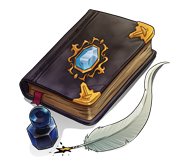 Do not use splash potions on other users that may hinder them, such as "death potions". No server-to-server money trade scams or scams involving a rank purchase.
! [shout] - Talk globally. /msg -Talk private to others. /home - Returns you to your /sethome location. 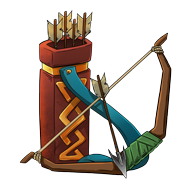 /[skillname] - Displays information on a specific skill. Ex. "/mining" displays general information regarding the mining skill, including the current Double Drop proc rate. /auction - This command will always direct you to an overview of your current options. Do not impersonate anyone, including other users and staff. Speaking as other people is not allowed. Points - Gain Mini-Game points by killing players, playing the objective and winning. Accept the Terms and Conditions. 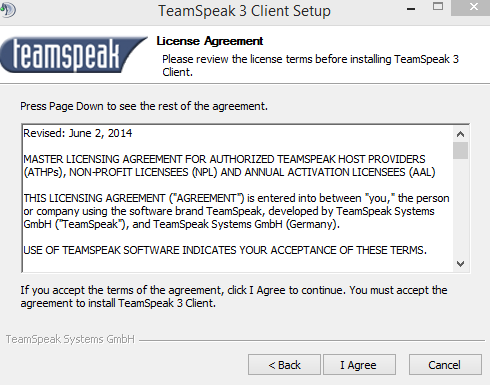 We recommend you read through them before you accept and install. You have a choice whether you can fill in a survey or not. Like us, they want feedback. Feel free to fill one in or just skip to the download, it is up to you. 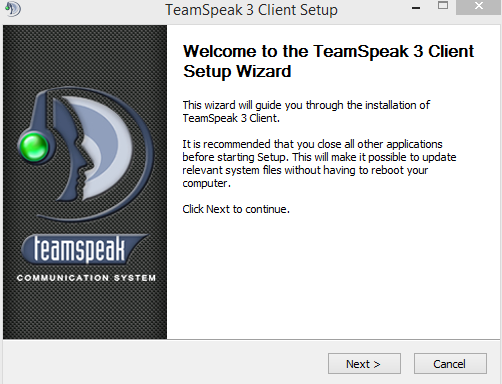 Downloading.. Just simply sit back and let TeamSpeak download! 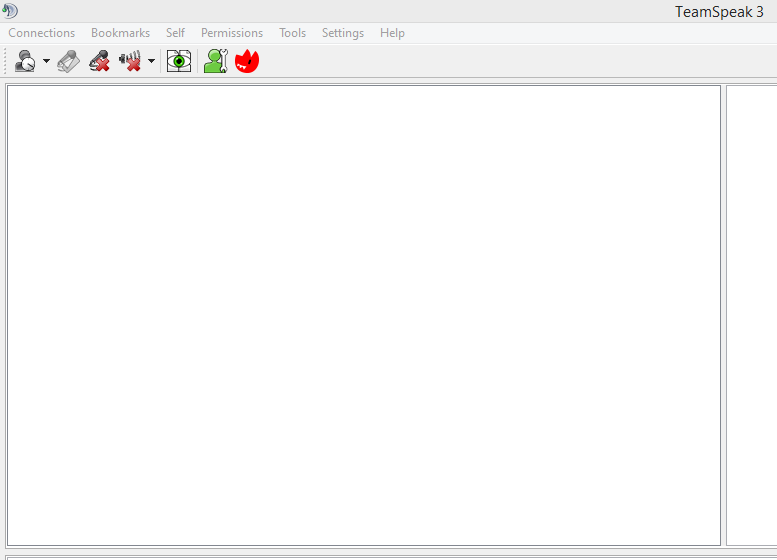 Opening the Set-up Wizard, simply click to load it and press Next to continue to step 6. More Terms and Conditions. Again do read through them and make sure you agree to them. 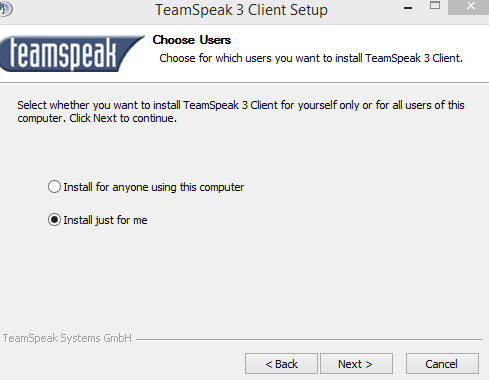 Installing for one user or everyone on your PC? Select which one is best for you. Just For Me option is recommended, unless you have someone else who uses the computer might find it useful. 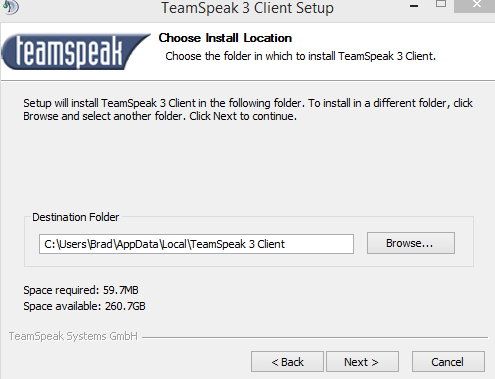 Select an install location, this can be anywhere on your PC, however it is recommended you store it somewhere you will remember it in-case you have to un-install it or anything goes wrong. Do you want it to be on your "Start" Menu? If so, select where. If not, just simply tick "Don't create shortcuts" and then press INSTALL! Select the OS you have and make sure you select "3. 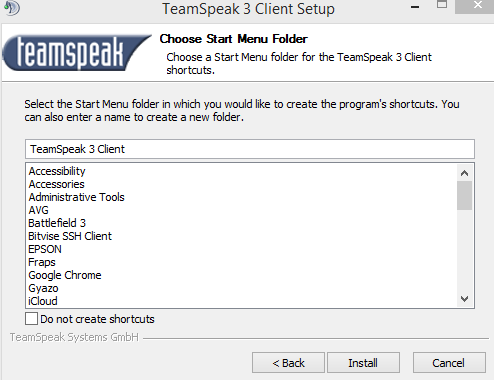 TeamSpeak"